James Blunt is a jerk. His music is seen as banal and dreary. His voice sits between whiny and forced at the best of times. The saccharine lyrics and endless pared back guitar tracks are what hell sounds like if you got trapped in an IKEA store for hours on end. James Blunt is both greatly loathed and loved for a variety of reasons and personally I’ve always enjoyed his music to an extent. His Twitter is also hilarious to follow as he tackles his haters online in only the way he can… directly and brutally. When ‘The Afterlove’ release was announced in his own quick-witted way, I was excited to hear how this album would pan out. It promised lots in the way of change, but could it deliver? 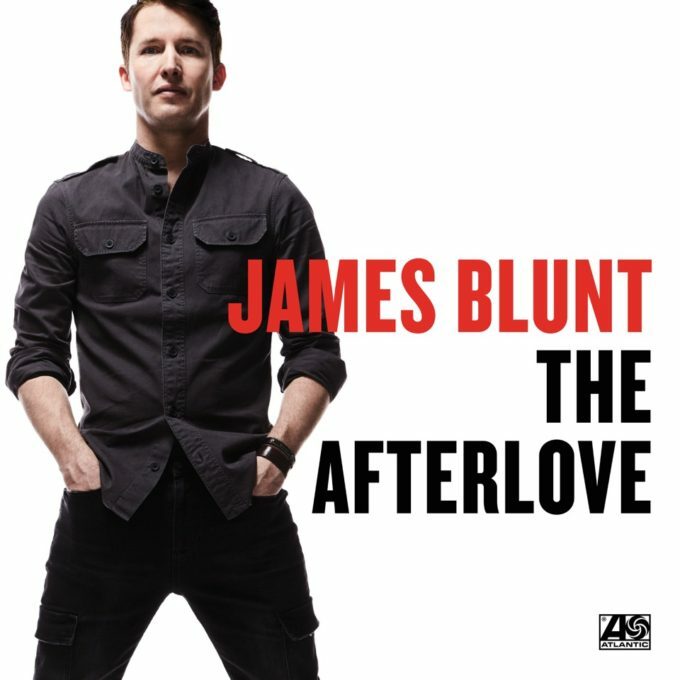 ‘The Afterlove’ is both different and familiar and is honestly a great shift in how James tackles his music. Reading one of the interviews for this release, he talked about working with Ed Sheeran and how Ed pushed him to be more genuine and expose his heart through his writing. As a singer-songwriter, you’d expect the artist to always bare their soul, but it seems James has been holding back. On several tracks here, including on lead single ‘Love Me Better’, James sings about his wife, his child and all the crazy fans out there. It provides a great connection to the human behind the music and endears yourself to him a bit more. This is also evident on ‘Time Of Our Lives’, in which he sings about his love of his wife through a lushly-arranged track and stunning vocals. I feel like James is at his best when pushed outside his comfort zone. Through all the promotion for the album, James has talked about how this album is a stretch for him as he’s experimenting with instrumentation and the use of electronic beats and sounds. I think it’s a really intriguing combination mixing his style with these layers. Many of the tracks are understated and subtle in their delivery and after listening to the album several times it became evident to me the amount of care and attention that’s been taken to create this body of work. My only complaint (and it’s small) is that on a few of the earlier tracks on the album, his voice sounds overly processed and it takes away the connection between listener and fan; The lyrics on ‘Bartender’ may be clever, but his vocals on the chorus leave me longing for more. I am impressed with the approach James has taken with ‘The Afterlove’ and how he’s grown as an artist since his debut in 2004. He might be a jerk to people sometimes, but I love him for it and when he’s creating great music like this, does it really matter? MUST LISTEN : Love Me Better, Don’t Give Me Those Eyes, Time Of Our Lives, Heartbeat, Over.